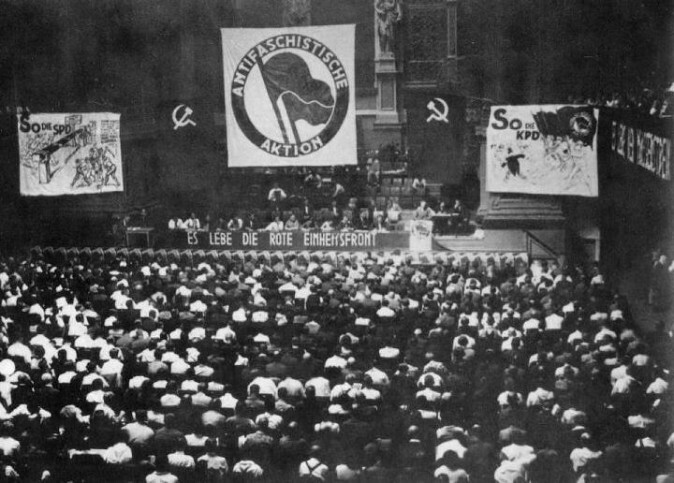 The organization can be traced to the “united front” of the Soviet Union’s Communist International (Comintern) during the Third World Congress in Moscow in June and July 1921, according to the German booklet “80 Years of Anti-Fascist Action” by Bernd Langer, published by the Association for the Promotion of Anti-Fascist Culture. Langer is a former member of the Autonome Antifa, formerly one of Germany’s largest Antifa organizations, which disbanded in 2004. Both the communist and fascist systems were based in collectivism and state-planned economies. Both also proposed systems wherein the individual was heavily controlled by a powerful state, and both were responsible for large-scale atrocities and genocide. The KPD was at the front of this call, launching a movement under the banner of United Front Action and branding its armed “anti-fascist” wing under the name Antifaschistische Aktion (“Antifascist Action”), which Antifa still carries in Germany, and from which the Antifa organizations in other countries are rooted. Antifaschistische Aktion, meanwhile, began to attract some members who opposed the arrival of actual fascism in Germany and who did not subscribe to—or were potentially unaware of—the organization’s ties to the Soviet Union. However, the violence instigated by Antifaschistische Aktion largely had an opposite effect. The ongoing tactics of violence and intimidation of all rival systems under the Antifa movement, along with its violent ideology, drove many people toward fascism. 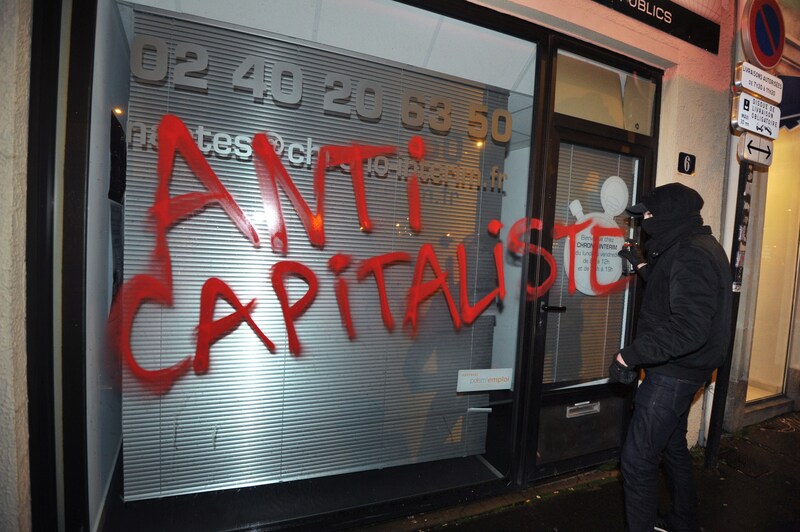 Anti-fascism is directed not only against actual or supposed right-wing extremists, but also always against the state and its representatives, in particular members of the security authorities. “It was brought into play in Germany in the 1920s by the KPD”, not as a legitimate movement against the fascism that would later arise in Germany, but instead “as an anti-capitalist concept of struggle,” he writes.